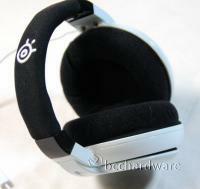 The SteelSeries Siberia Neckband Headset for iPod, iPhone, or iPad that we are going to take a look at today is an updated version of the SteelSeries Siberia Neckband headset which adds built-in controls for you to control your favorite Apple product easily. Technically and design-wise there isn't any major differences other than the inclusion on the "in-line" volume control that is compatible with iPod, iPhone and iPad products. 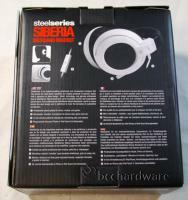 The Siberia Neckband Headset is a bit different design and is a nice alternative for people who do not like traditional "over the head" style of headsets but also don't want to go with earbuds either. The Siberia Neckband Headset is easily adjustable to provide a nice fit which allows you to easily move around without feeling like your headset is going to fall off. This headset also features in-line volume control (compatible with Apple iPod, iPad and iPhone) which gives you control for play / pause / answer calls / fast forward / volume up and down. 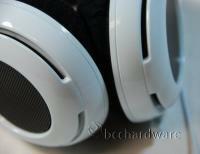 Let's take a look in the next section at what the Siberia Neckband Headset is all about. 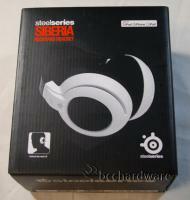 The design of the Siberia Neckband Headset is a bit different compared to other headsets on the market today. 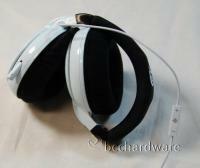 This headset is a welcome change to the tradition "over the head" headset that is pretty standard when it comes to headsets. 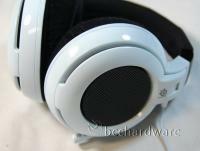 There are a few headphones that use the same design as the Siberia Neckband Headset but very few of them have a retractable mic and very few of them come anywhere close to the audio quality that a headset like the Siberia Neckband Headset can offer. 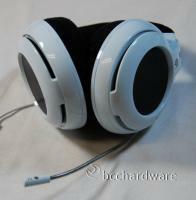 As you can see in the next set of pictures this headset features a retractable mic. The ability to retract the mic is a great feature as I'm sure not many people want to be walking down the street looking like a fighter pilot when listening to their iPod. 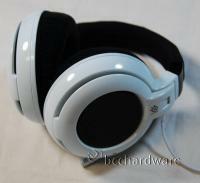 The mic is long enough that you are able to easily position it in front of your face for great call quality. The Siberia Neckband Headset is built very sturdy and should be able to take a fair bit of abuse (as you can see in our pictures below). If you accidentally sit on this headset or if it somehow finds itself at the bottom of your backpack you won't have to worry about it breaking. As with anything if you drive over it with your car or bend it like a crazy person you'll probably find a way to break it, it's not indestructible, but we'll go with "semi-indestructible". So there we go, that's what the Siberia Neckband Headset looks like, let's move onto the next sections where we take a closer look and give this headset a good thorough testing.